Like many of you, I'm guessing, I love going out to eat with friends. Finding new restaurants or taking comfort in our regular spots is one of my favorite things to do. Still, there's nothing like spending time in the kitchen with your friends. No matter how good a restaurant experience is, it doesn't beat working away in the kitchen, chatting with friends and blasting music. Anyone else with me? This salad was the product of some food and friend time in the kitchen. My friend Colleen was in town for the weekend and my sister Renatta was over. The three of us spent the morning prepping a few different recipes for our dinner later that evening while swapping stories, creating new lyrics to songs, and making messes. Colleen was my sous chef, and she peeled and slice each piece of the citrus. I refrigerated the dressing separately from the fruit and tossed it all together just before serving. The salad didn't just help make memories; it was memorable itself! It's tart with just enough sweetness to keep you from pursing your lips too much. The brightness of the grapefruit, oranges, and limes make it a lovely addition to your Spring table, and it might be just the thing to add to your Easter brunch this weekend! 1. Peel the grapefruits, oranges, and limes (may need to use a sharp knife) and remove all of the bitter white pith. Work over a small bowl to catch the juices and cut in between the membranes to release the sections. 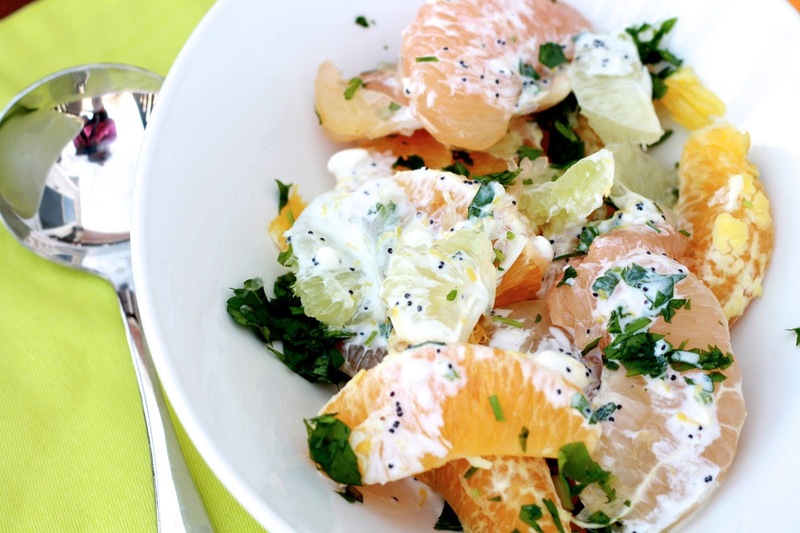 Cut the lime and grapefruit sections into thirds and leave the orange sections whole. 2. 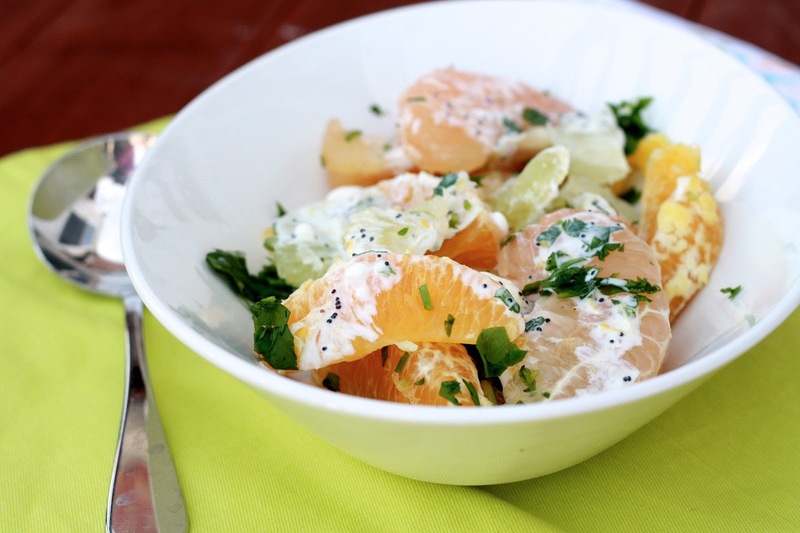 Transfer all of the citrus to a serving bowl and toss with the sliced shallot and parsley. Reserve the citrus juice for another use. 3. In a separate small bowl, whisk together the lemon zest, lemon juice, sour cream, maple syrup, and poppy seasons. Lightly season with salt and then lightly toss the dressing with the fruit. Serve immediately.